During 2017, Canada is celebrating its 150th Birthday. As a result no fee is being charged to visit Canada's National Parks. 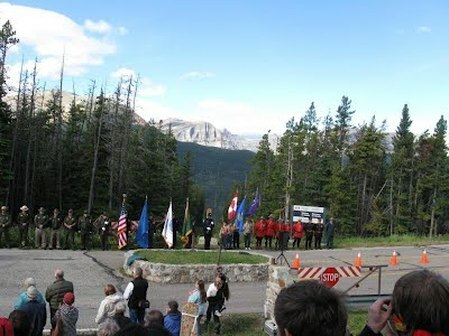 However, the WGIPPA 85th Assembly Organizing Committee Strongly recommends that Assembly attendees apply for a Canada 150 Discovery Pass to facilitate easy entry into Waterton Lakes National Park. Please allow 8 weeks for delivery of your Discovery Pass. The Pass can be ordered by clicking here on Discovery Pass. Participants should meet at the Waterton Lakes Golf Course for a 10:00 am tee-time. Your fee for the event includes a cart. BBQ (serving from 7:00 to 8:00 pm) and Entertainment will be by “The Wardens”. Scott Ward, Bradley Bischoff and Ray Schmidt - are a Banff National Park-based trio whose stories and images rise from the very land they’ve protected for the past 60+ years. (http://www.banffwardens.com/ ) Promises to be an amazing performance! Jeff Mow first came to Montana in 1979 and spent four summers working for the USGS doing geologic mapping in the Flint Creek, Anaconda Pintler, and Sapphire Ranges of Montana. Subsequent visits occurred in 1988 during the Red Bench Fire in the North Fork and again in 2010 where he helped facilitate a scenario planning workshop for the Crown Manager’s Partnership in Whitefish. 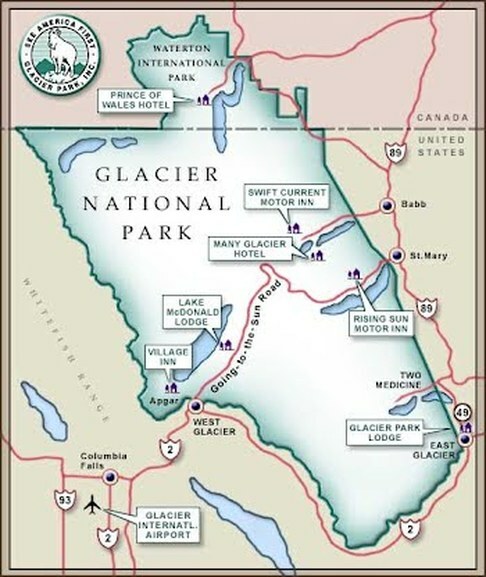 Jeff has been the Glacier National Park superintendent since August of 2013. Ifan Thomas is the Superintendent for Waterton Lakes National Park and Bar U Ranch National Historic Site. Before moving to Waterton, Mr. Thomas was the Field Unit Superintendent for Ivvavik, Aulavik and Tuktut Nogait National Parks, Saoyú-Ɂehdacho National Historic Sites and Pingo Canadian Landmark in Yukon and the Northwest Territories. During his time in the Artic, Mr. Thomas directed a Parks Canada team that located HMS Investigator off the north coast of Aulavik National Park. “Investigator” was a Royal Navy vessel that had been abandoned and lost in 1853 while searching for the Franklin Expedition. Mr. Thomas began working for Parks Canada as a seasonal employee in Jasper National Park. He has worked for Parks Canada for 28 years. Mr. Thomas holds a Master of Arts in Political science. Leroy Little Bear, Juris Doctor, is a member of the Small Robes Band of the Blood Indian Tribe of the Blackfoot confederacy, born and raised on the Blood Indian Reserve. Before retirement, he was a professor in the Native American Studies Department at the University of Lethbridge, Alberta, Canada. From January 1998 to June 1999, he was Director of the Harvard University Native American Program. He is the former Head of the Seed Graduate Institute which held a series of dialogues between Native and Western Scientists. He has authored many articles including “A Concept of Native Title” which has been cited in a Canadian Supreme Court decision. He has co-authored books including Pathways to Self-Determination, Quest for Justice, and Governments in Conflict with Dr. Menno Boldt and Dr. Anthony Long. Current interests include the exploration of North American “Native Science and Western Science: Possibilities for a Powerful Collaboration.” He lectures on this and other topics internationally. Brian (Barney) is the Founder of Lifeways, Alberta's oldest cultural resource consulting and contracting company. He has over 40 years of research and professional experience and specializes in Northern North American Archaeology, Ethno-history, and Cultural Resource Management. He has worked on and managed numerous archaeological surveys and excavations in Alberta and across western North America in his career, both for development projects and academic research. Barney was a pioneer in the development of Traditional Use Studies with First Nations groups in Alberta, and has been actively involved in many consultation programs. Over the years he has introduced and tutored numerous students in the fields of archaeology and historical resources management, and has made important contributions to the development of the field in Alberta. His career long contributions to our understanding of culture chronologies on the Northern Plains, Rocky Mountains, and the oil sands regions have given him an international reputation as one of North America's best. Barney is also Professor Emeritus in Archaeology at the University of Calgary. Academic Degrees: Ph.D. (Archaeology), University of Calgary; M.A. (Archaeology), University of Calgary; B.Sc. (Geology), University of Alberta; B.A. (Philosophy), University of Alberta (Calgary). For those wanting to make reservations in the for the Assembly, reservations open January 12th, 2017. Please note we couldn’t block book rooms. Since everyone is getting into the Parks for free in 2017, rooms may be limited. Therefore, if you plan on attending please book as soon as possible. The code “PEACE” can be used at either the Waterton Lakes Lodge Resort and/ or the Aspen Village Inn this code will entitle the attending guest to 15% off room RACK rate. We have attached a personalized Booking Form with all details including room rates (please see attached). Please note that the quoted rates do not include taxes, which are 5% GST & plus 4% Tourism Levy. Listed as sold out, but should check. Remarks by Dr. Linda Many Guns, “A Building as a Metaphor for Culture” to begin at 1:30 pm. Indigenous teachings can shape architecture. Through an extensive consultative process with Blackfoot Elders consensus was reached on the symbols that most reflect the core values for Siksika Nation. Elders were involved with the design and directed how the shapes of the several dozen symbols would appear in the building. Each icon is ancient. This building is now a place that sustains and reflects the importance of traditional knowledge. Through inclusive interaction at each stage of the design and construction a powerful building now tells the history of the Blackfoot people, symbolically memorializing the importance of all aspects of Blackfoot culture. Linda Many Guns has a BA from St. Thomas University (Fredericton, N.B. ), a master's degree from Carleton University (Ottawa, Ont. ), a law degree from University of Ottawa and a doctorate from Trent University (Peterborough, Ont.). A mother of two, she is also a grandmother of three. Linda Many Guns is a Professor in the University of Lethbridge's Department of Native American Studies. She is a great believer in using symbolism from Aboriginal culture to tell a story and narrative about a rich culture that is integral to the foundation of the U. of L.
Remarks by Mr. Peter Gurche, Roundtable Coordinator, "Diversity and Inclusivity in the Crown of the Continent: Notes from a Boundary Collaborative." Born, raised, and educated in eastern Washington, Peter Gurche is currently a Master’s student in Environmental Studies at the University of Montana, where he is also pursuing a certificate in Natural Resource Conflict Resolution. His studies emphasize writing and collaborative conservation processes in the northern Rockies. Before coming to Missoula, Peter lived and worked in Alaska as a commercial fisherman, carpenter, and mechanic. He enjoys exploring public lands by ski, boat, and foot. To begin at 3:30 at the Waterton Community Center. 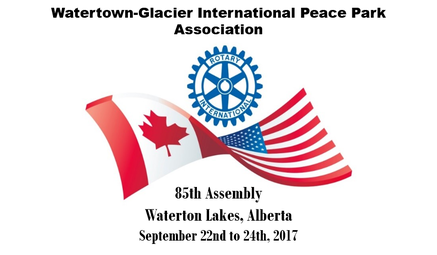 Please note: All Rotarian's, spouses and guests are welcome and encouraged to attend.